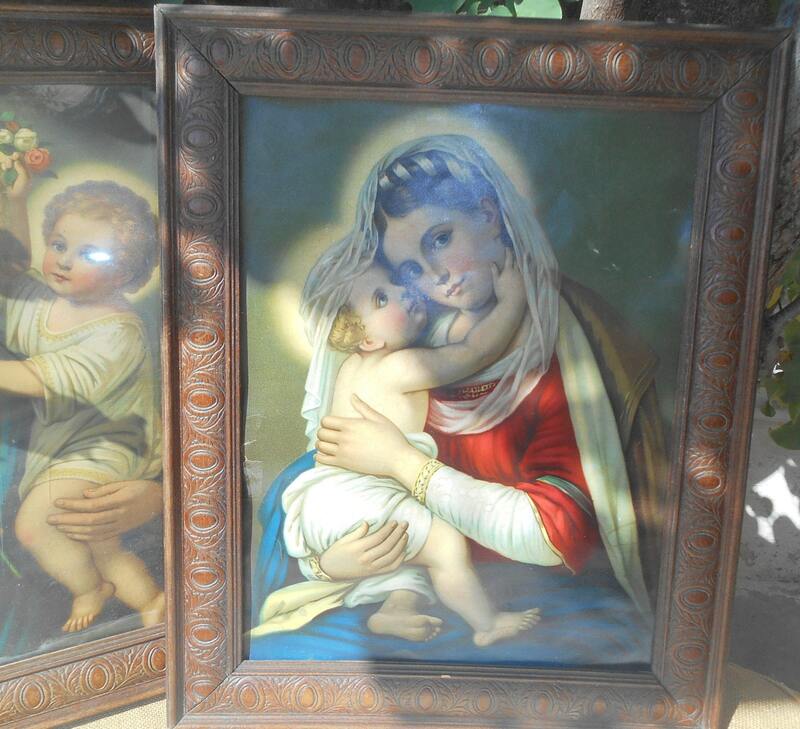 Pair of Large Victorian late 19th century Religious Chromolitograph showing Saint Joseph and Jesus and Mother Mary and Jesus Child. 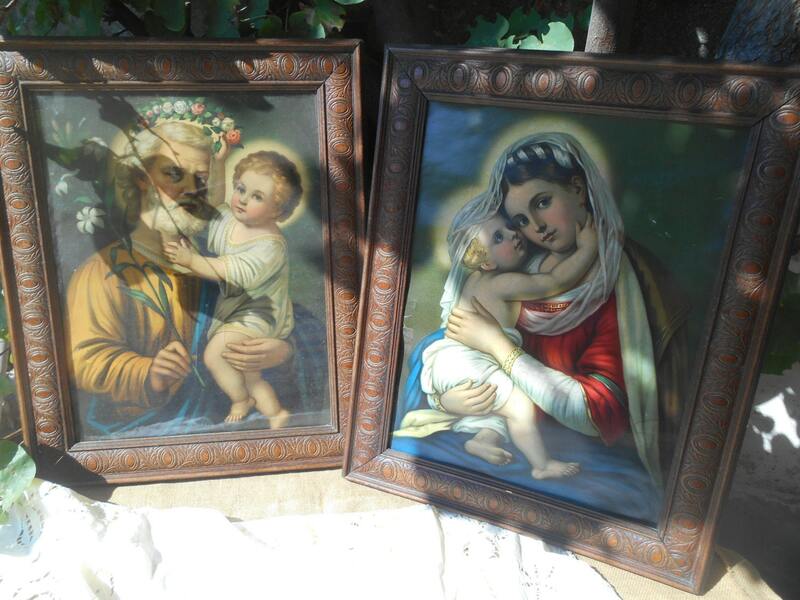 Gorgeous Hand Carved wood framed . 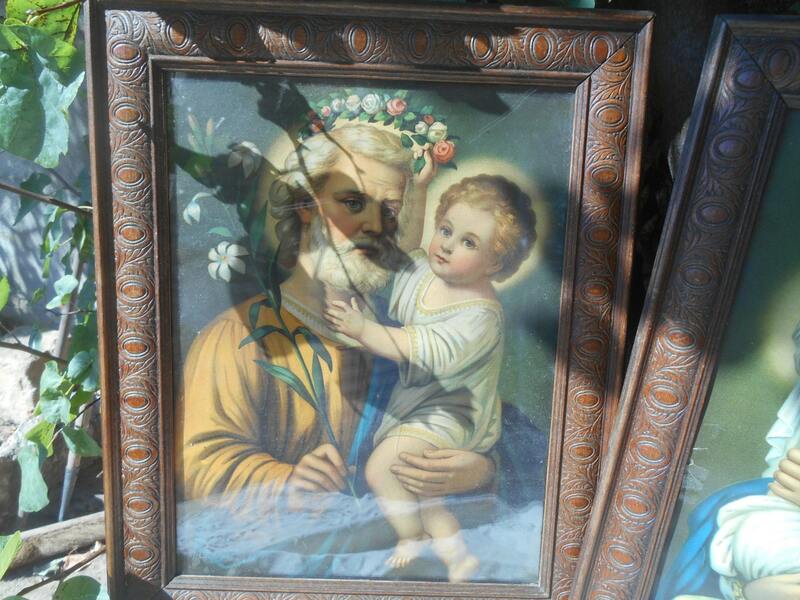 St Joseph is in good condition glass protected, Mother Mary has a small tape sticker on a side and no glass. 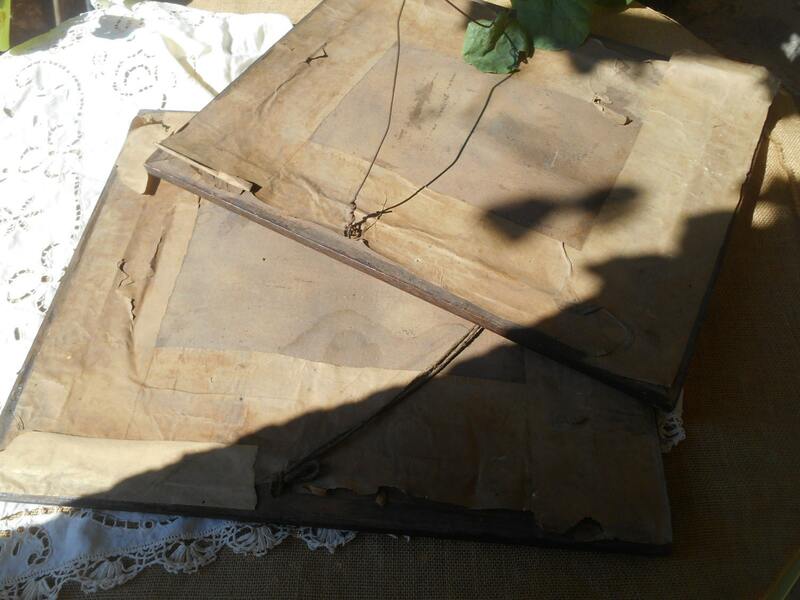 Gorgeous pair of Victorian Religious Chromolitograph . 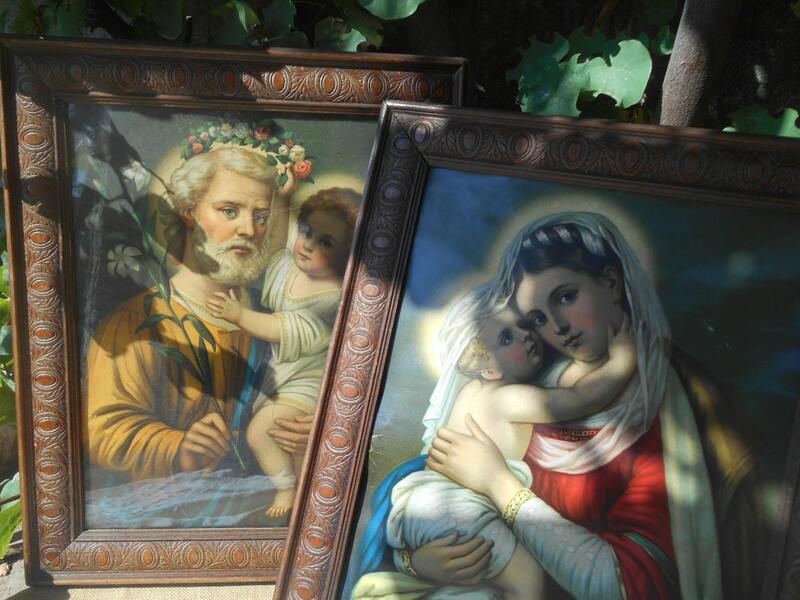 The hand carved framed are GORGEOUS.